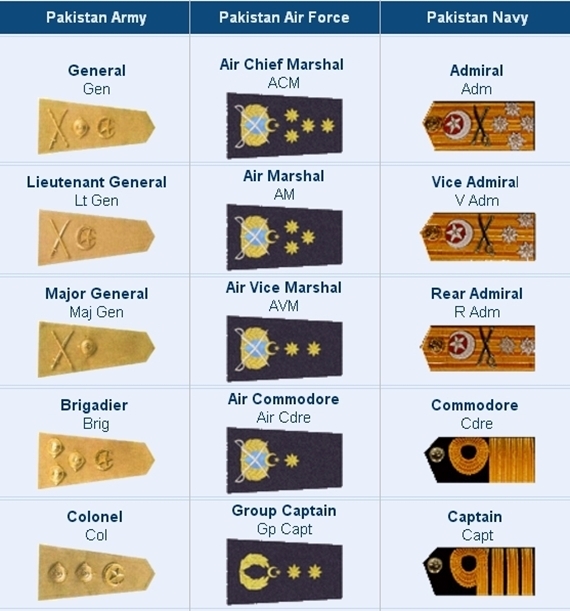 The following is a list of the ranks, insignia (badges) and BPS Pay Scales of the personnel of Pakistan Army, Navy and Air Force. If you want to apply for jobs in Pakistan Army, Pakistan Air Force and Pak Navy, Click Here. Officer rank badges are displayed on the shoulders. JCOs also wear ranks on the shoulders of uniform. The Non Commissioned Officers rank badges are displayed on arm sleeves. All the information given here collected from different online resources including official websites of these three forces. However if anybody found any error or omission in this post, please write it in comments. Thanks for your valuable response. Abbreviation has been capitalized. However, template will also be changed soon. 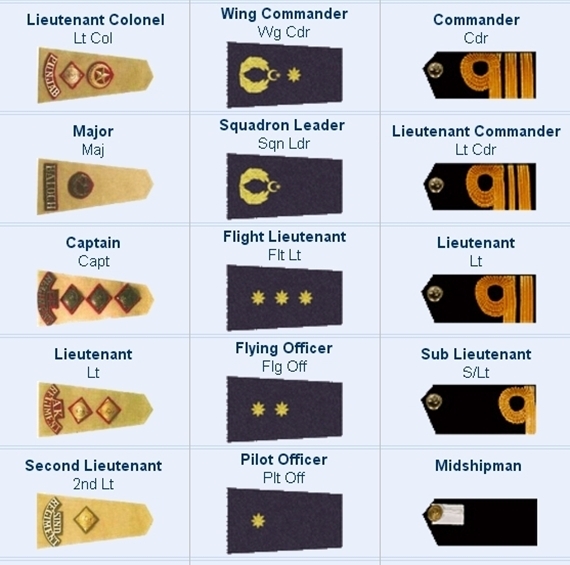 Gul Chaudhry you can find the new insignia template of Commodore rank in pakistan navy wikipedia it has been updated!!! is he was base commander? ?